What are the various types of Audio formats. Following are various types of Audio Formats with Minimal Descriptions. A MIDI file contains synthesized music. MIDI is a great choice for web, because the files are small in size. MIDI files are typically created using computer-based sequencing software or sometimes a hardware-based MIDI instrument or workstation, which organizes MIDI messages into one or more parallel "tracks" for independent recording and editing. A WAV file provide very good quality sampled sound, but is usable almost exclusively on Windows computers. It is one of the first audio-standards. 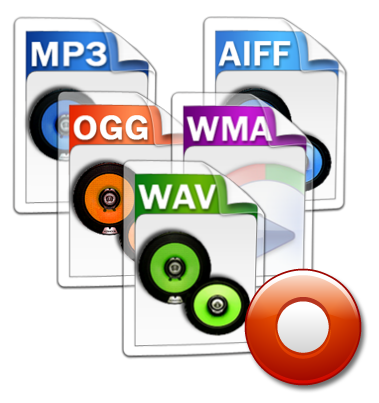 WAV files are virtually of the same quality as data on audio-CDs and therefore offer the best quality. At the same time these files are very large (10 MB / min. ), that's why they are unsuitable for everyday exchange via the internet. MP3 was introduced in 1992 and until today it is the most successful audio-standard since WAV. Using MP3-compression PC-users can compress an ordinary music-CD to one tenth of it's original size - thus 12 hours of music could be stored on a recordable CD that on the other hand could be played by a MP3-CD-player or an ordinary PC. WMA files are almost of CD-quality with just a third of the source-file's size. Like MP3 WMA is almost predestined for the internet by offering streaming capabilities both with WMA and WMV (Windows Media Video). This format was developed by Apple for storing high-quality sampled sound and musical instrument info.AIFF file contains a recorded sound sample, which may be music or a sound effect. The specification is very long and allows for lots of different features.